In 2018, China’s base oil prices hovered at highs. In H1, 2018, supported by the high international crude oil prices and the great devaluation of RMB, the prices of Group II base oil 150N increased by about 12% Y-O-Y. In H2, 2018, there were 4-5 newly added base oil units being put into operation, so the base oil capacity rose quickly. By the end of 2018, China’s base oil capacity will break through 10,000kt/a, and the base oil supply will become more surplus accordingly. Due to the elimination of low-end capacity, and the decline in the imported base oil resources influenced by the fluctuations in the exchange rates, the demand for Group II and III base oil will rise to some extent. The market share of Chinese-made base oil resources will grow gradually, alleviating the overcapacity somewhat. China’s white oil prices remained high and obviously increased from 2017. The international crude oil prices went up, lifting the production costs of white oil. Thus, the mainstream dealing prices of white oil hovered at highs. But the downstream demand for white oil remained tepid. Besides, the new industrial white oil standard was put into effect on June 1, 2018, and the import costs of white oil increased, weighing on China’s white oil market. In 2019, the base oil capacity will remain surplus, and the market competition will become severer, such as the competition between the Chinese-made resources and imported resources. Economic growth will still determine the development prospects of the lubricant industry. While the demand for vehicle-use lubricant grows steadily, market participants will pay close attention to the demand for industrial lubricant. Based on the original data monitored by SCI, the report will make a full and detailed review for China’s lubricant and base oil markets in line with those authentic data from National Bureau of Statistics of the People’s Republic of China, General Administration of Customs, P.R. China, and National Development and Reform Commission. Besides, SCI will also comprehensively analyze the lubricant and base oil markets, in partnership with industry senior specialists, China’s major suppliers, traders and major downstream producers. 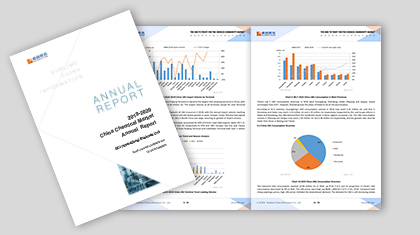 This report includes the comprehensive analysis of related data and the fundamentals, which can systematically present the current situation and future development of China’s lubricant and base oil markets. Ultimately, the report will provide valuable guidance for market participants. 1. Analysis of the evolution and future development of China’s base oil supply-demand pattern. 2. To present detailed and accurate first-hand data and quantitatively analyze the industry status. 3. To analyze the driving factors of price changes via multiple angles and objectively assess the transmission of the lubricant and base oil value chain. 4. To deeply comprehend the industrial hotpots and their causes and impacts.